During his A State of Trance radio show on May 23 2013, Armin van Buuren had the honour of announcing his very own ‘Gaia – Tuvan’ track as the ‘ultimate trance track of all-time’. The track, released under Armin’s Gaia moniker, became the most voted track on the 2013 edition of the Trance Top 1000. The official and independent Trance Top 1000 list, also published in 2010 and 2011, is a great reflection of how old classics and future classics impact the music taste of today’s trance lovers. In the Top 3 this year, are Armin van Buuren (under his Gaia moniker), Delerium and Tiësto. Thousands of votes on tracks and remixes came in, reflecting upon more than 20 years of trance music history. What’s striking about the 2013 edition of the Trance Top 1000, is the fact that it’s not only filled with 90’s classics, but also with new tracks by upcoming names. ‘Rank 1 – Airwave’, the number one in 2011, is now 7th on the Top 1000. Other Top 20 tracks are those of Paul van Dyk, ATB, Sasha, Oceanlab, Motorcycle and Dash Berlin. 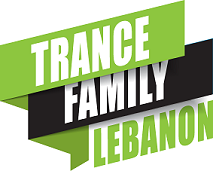 The Trance Top 1000 is an initiative of Armada Music, the record company that has won the International Dance Music Award for ‘Best Global Dance Label’ five years in a row. The complete Trance Top 1000 of 2013 can be found below.